Micki Schloessingk makes wonderful pots for us to use and enjoy everyday. Micki has created and developed Bridge Pottery in the small village of Cheriton on the Gower peninsula in south Wales. It is here that Micki has made her range of thrown and hand-built pots since 1987. With a large wood-fired kiln, gallery and studio, Bridge Pottery is a dynamic and inspiring place to be. 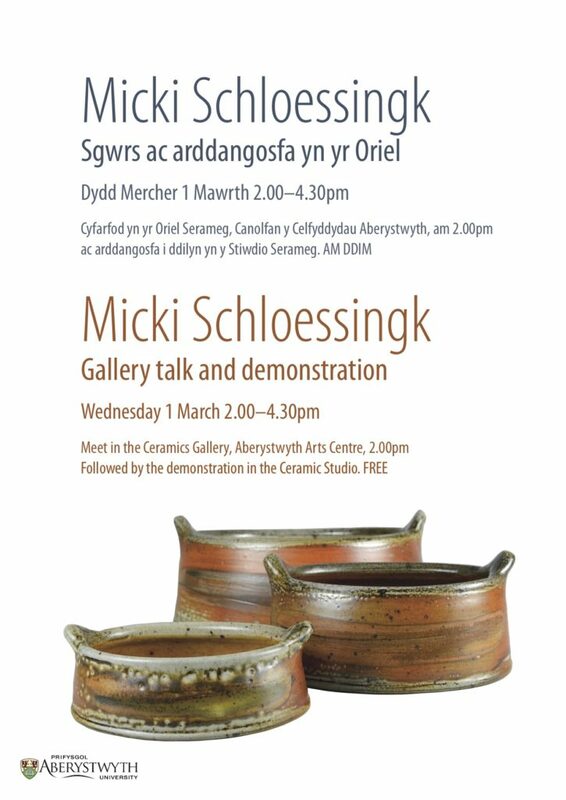 Micki’s pots are beautifully and skillfully realised. Many years of care and experience come to bear on these well-designed pieces that are a joy to use and a delight to live with. Much of Micki’s work is thrown on the wheel. Micki also enjoys hand-building pieces, such as her slab dishes with feet. All the work is wood-fired and salt-glazed. These are exciting processes in themselves and ones that dramatically illustrate the unique character of Micki’s hand-made pots. Earth, Fire and Salt is a chance for us to appreciate and share Micki’s work with new audiences as it tours to venues across Wales. Earth, Fire and Salt is accompanied by a variety of engagement activities. The Language of Clay: Part One comprises three solo exhibitions of work by three Wales based, female ceramic artists, all with a pivotal dynamic in contemporary ceramics. Open Monday to Saturday from 9am-8pm, Sundays 10am-5pm.